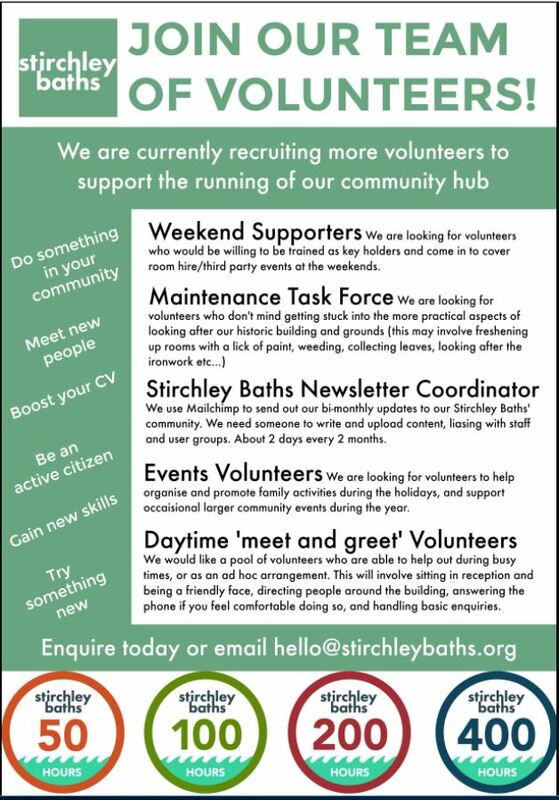 Great chance to put something back into the Stirchley Community by volunteering at Stirchley Baths…..
Could you help at weekends? Greeting people during the daytime? Write and upload newsletter content?